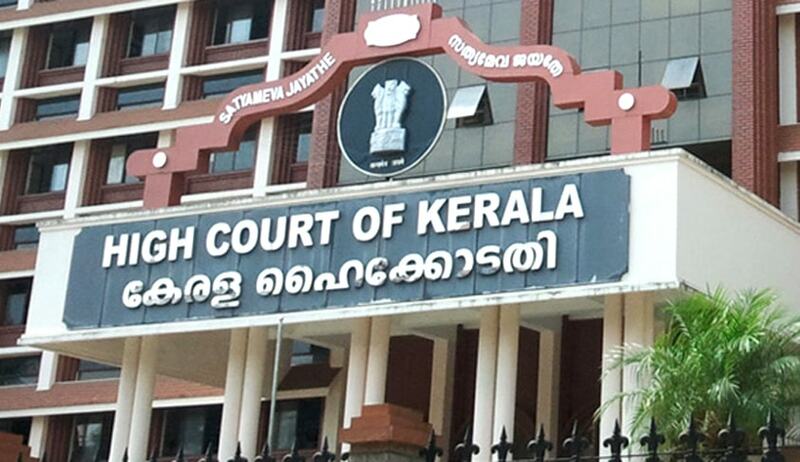 The Kerala High Court in L. Mini And Ors. Vs. Gireeshkumar And Anr., has dealt with a motor vehicle accident claim where the claimants were legal heirs of the deceased and the deceased was a pillion rider. The Division Bench comprising Justice CT Ravikumar and Justice KP Jyothindranath, although decided neither the rider of the bike nor the National Insurance Co. Ltd. were liable for compensation, held that the government should be liable to compensate the deceased or injured vehicle owners (compensate victim’s family in case of deceased). This appeal was filed by the wife, children and mother (claimants) of one Biju, who died in a motor vehicle accident occurred on 21.03.2010. Deceased Biju was the owner of the motor bike involved in the accident, which was being driven by Gireesh Kumar at the time of the accident. The vehicle involved in the accident was insured with the National Insurance Co. Ltd. in the claims petition. The petition was moved against the rider of the motor bike as well as the insurance company, but was dismissed on the ground that the deceased is not a third party and he is the insured himself. 1) The rider being the primary tortfeasor, what will be his liability to the legal heirs of the deceased owner of the vehicle involved in the accident? Ans. Tortious liability based upon fault liability, thereon, will not be applicable. When the deceased was the owner of the vehicle involved, which was brought by him knowingly that it may cause accident if not dealt cautiously and when he is voluntarily riding upon the same and when the respondent rider was riding the same as authorised by him, it can be seen that the rider cannot be made liable for any compensation or fastened with liability as long as the accident was caused by any unintentional act of the rider of the bike. Thus, the rider will not be liable to pay compensation to the deceased. The legal heirs are entitled to claim compensation in a legal fiction as if stepping into the shoes of the deceased at the moment of death along with their own rights. If that is so, when the deceased got no right to claim compensation from the rider, the claimants will also automatically get no right to claim so. 2) An additional premium of Rs 50 was collected by the insurance company and there is a personal coverage up to Rs 1 lakh, which was not considered by the tribunal and whether such a claim can be agitated before the tribunal? Ans. The liability of the insurance company is a contractual liability. Their liability will be only that of the insured. Virtually, the insurer is only indemnifying the insured-owner and in this case, the deceased is the insured herein. Thus, there will be no statutory liability upon them pertaining to Section 147 of the Motor Vehicles Act, where third party claim against the insured/owner need be indemnified. 3) The case in hand was filed under Section 166 of the Motor Vehicles Act. In view of the fact that even while dismissing the claims petition, the Motor Accident Claims Tribunal (MACT) had returned a definite finding as against the issue formulated for consideration viz., 'at whose fault the accident and death of Shri. Biju took place' that it was at the fault of the first respondent that the accident and death of Shri. Biju took place so there was absolutely no reason to interfere with the finding of the tribunal that the accident in which Biju died occurred due to the negligence of the first respondent. Ans. While considering the motor vehicle accident pertaining to a two wheeler, wherein the vehicle capsized, it cannot be positively said that reasonable caution was not taken by the rider because it can be seen that it is a single track vehicle and keeping it upright itself needs balancing. The dynamics of its motion is highly complicated and therefore such a vehicle may capsize due to various reasons. As long as positive evidence in this regard is lacking, it cannot be positively said that there was lack of the required care and caution on the side of the rider of the vehicle rather such a high degree of negligence on his part so as to make him liable to the owner. It cannot be said that the rider of the vehicle is primarily liable in a case like this. Thus, a fault liability cannot be fastened on the rider. Before parting with the case, the court, however, observed there are different kinds of motor vehicles, including the motor bikes, where the owner will be riding the same on the public roads provided by the government without any personal insurance coverage. Roads to ply the vehicles are provided and maintained by the government. With this, the court partially allowed the appeal with the costs mentioned.